Technology enthusiasts are mourning the end of the line for Microsoft's Windows Home Server (WHS), a central device capable of managing multiple PCs and files across a home network. Microsoft confirmed through a support document [PDF] that WHS development will end. WHS-specific functionality such as DLNA support and media streaming will be folded into Windows Server Essentials 2012, a product aimed at small businesses and priced starting at $425. Windows Home Server 2011, the current version of WHS, will be available for most most people until 2013, and computer manufacturers can obtain the software to create new devices until 2025. Introduced in 2007, WHS was designed to solve a problem for a PC-centric world: manage a myriad of files and media types across multiple computers. 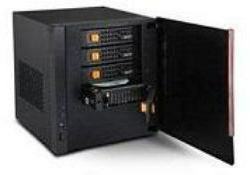 Microsoft's home server appliance could also handle remote access to your PCs as well as manage back-up and recovery applications. Throughout 2007, anticipation built for Windows Home Server with some critics arguing that WHS would be a breakthrough product that many users would adopt. “The basic concept [for WHS] is simple and logical, and any household with more than one PC already wants one...though they may not know it yet,” Computerworld's Scott Koegler said in March 2007. Later that year, the first WHS devices promised to live up to the hype. “Microsoft [with WHS] makes common tasks like setup, media sharing, remote access, and PC backup and recovery as easy as pie,” PCWorld's Tom Spring said about Hewlett-Packard's MediaSmart Home Server, the first WHS device. Despite those promising beginnings, WHS never saw widespread adoption among home users and remained largely a useful and reliable tool for technology fans. By late 2010, HP gave up on MediaSmart Servers. Microsoft, meanwhile, promised to continue working on WHS with partners such as Acer. The second iteration of the product Windows Home Server 2011, shipped in early 2011. 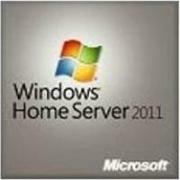 More than a year after WHS 2011, Microsoft has decided to do away with Windows Home Server. Fans of WHS were quick to mourn the end of the line for one of their favorite pieces of technology. Some WHS users sent notes via Twitter to Charlie Kindel, a Microsoft veteran of more than 20 years who led the development team for Windows Home Server. “Your WHS servers in silence in my closet...technology that just works,” one Twitter user told Kindel. Acer RevoCenter powered by WHS. “In the immortal word of Darth Vader, NOOOO!!!! !,” said another. For his part, Kindel said he felt WHS reached the end of its life some time ago. WHS is coming to an end at a time when Apple, Google, Microsoft and many other companies are advocating for users to push essential files off home PCs and into the cloud. Instead of running a central server in your home, you can manage files across multiple devices including PCs, smartphones, and tablets with services such as Microsoft's SkyDrive, Dropbox, Google Drive, and Apple's iCloud. For users who want to keep their files closer to home, Windows 8 offers a new feature called Storage Spaces that lets you manage multiple external hard drives as one virtual drive. Windows 8 will also feature remote access to home PCs via SkyDrive, and media sharing across a home network can be done with homegroup sharing, first introduced in Windows 7.